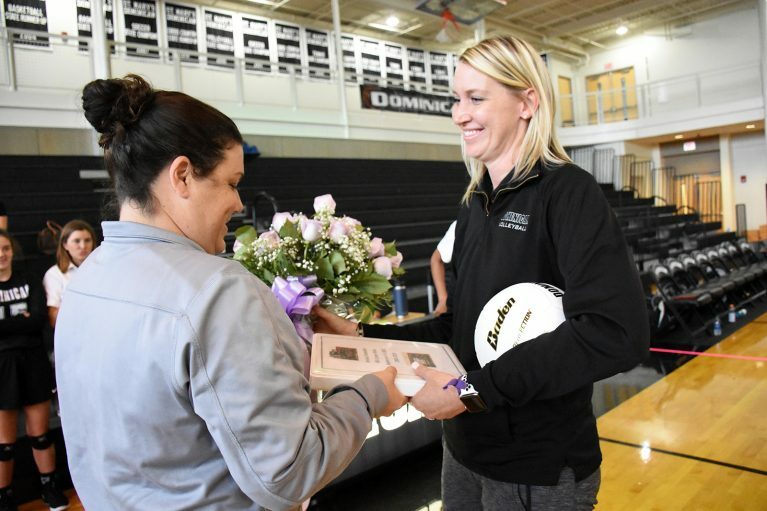 A Toast of Praise to Coach Jessica Chatellier! 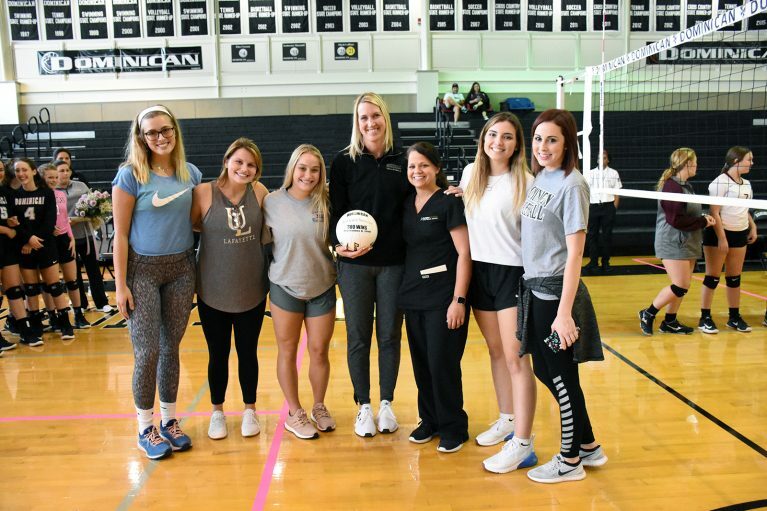 On Thursday, September 6 Dominican defeated Academy of the Sacred Heart. 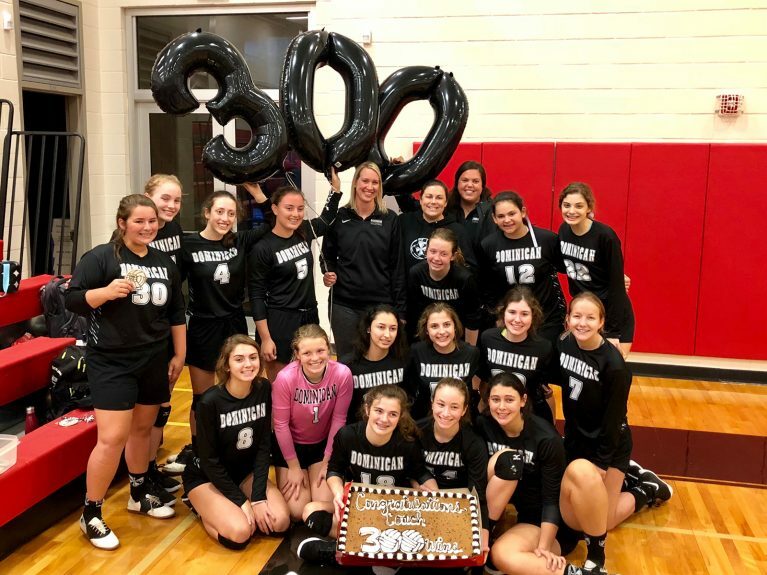 This win was Coach Jessica Chatellier’s 300th victory. 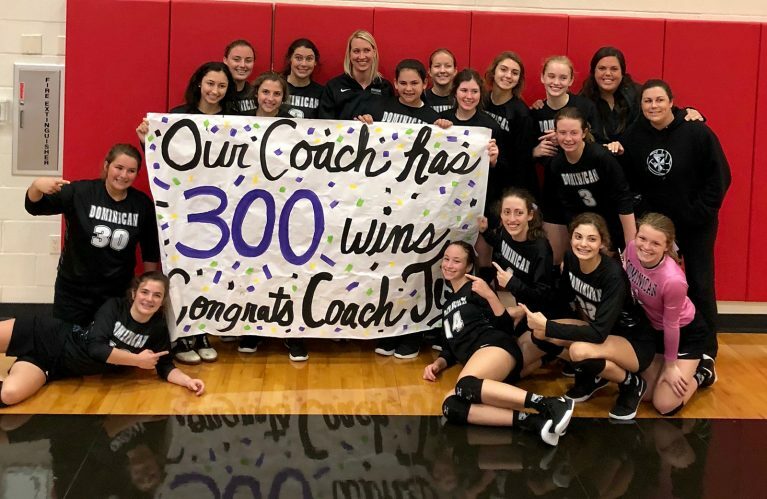 Following yesterday’s sweep of Terrebonne, Coach Chatellier’s tally is 302 and counting! Coach Chatellier has been with Dominican High School since 2003. 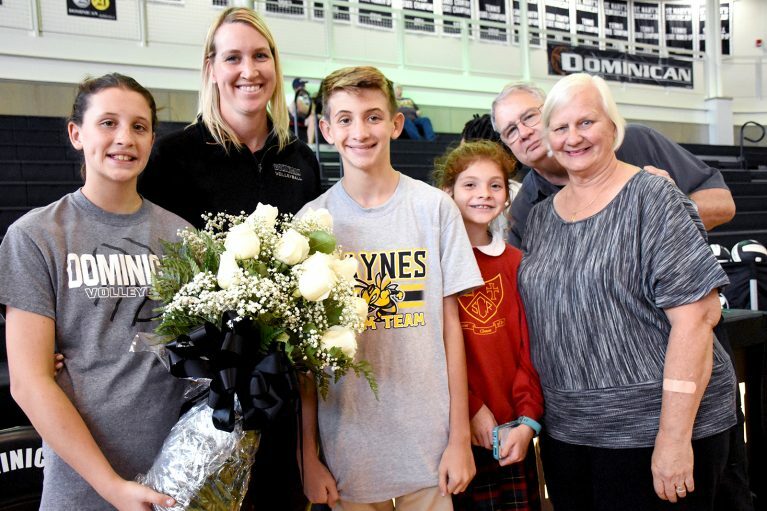 Under her leadership the Dominican Volleyball team won two district titles (2004, 2006) and played in the 2003 State Championship game. 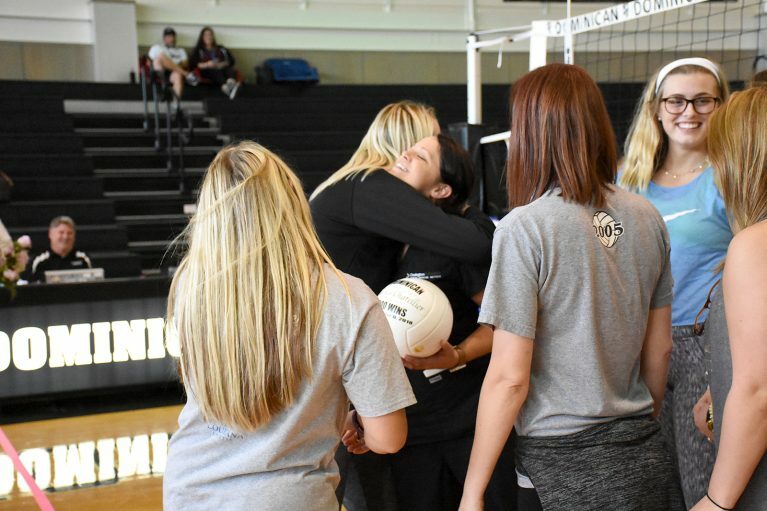 Yesterday, former members of her teams presented Coach Chatellier with the 300th win game ball.